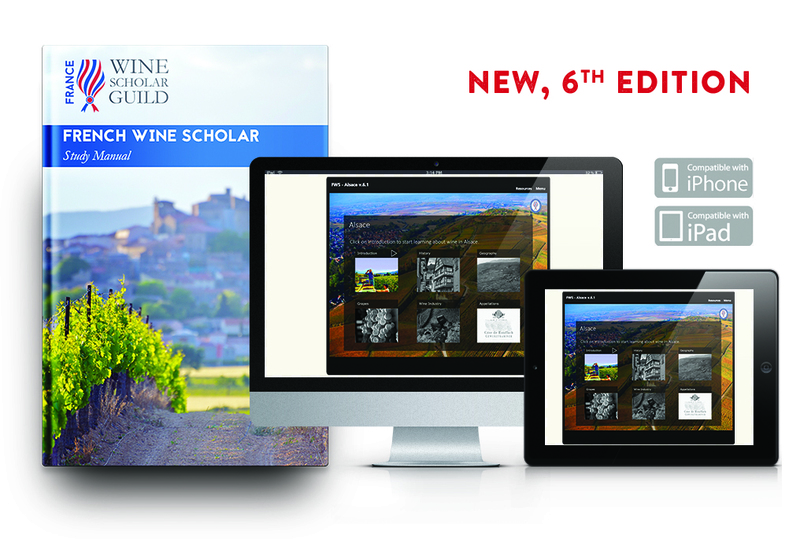 The 6th Edition of the French Wine Scholar program has just been released! In keeping with these changes, the online study program has been upgraded and is now fully mobile compatible. All teaching materials have been updated and given a fresh look also! This new edition has been enriched thanks to the insights provided by area experts including: Mélanie Poupart (Loire), Wink Lorch (Jura/Savoie), Thierry Meyer (Alsace), Marie-Céline Wallerand and Tom Fiorina (Corsica), Eric Aracil (Roussillon), Elizabeth Gabay MW (Provence), Catherine Machabert (Languedoc) and Emmanuelle Voinier (Rhône). 8:00 pm Hong-Kong, 9:00pm Shanghai, 7:00 am EST (NYC time), 11 pm Sydney, 12:00 noon UK, 13h in France. Find out about the curriculum and study options. Get a feel for the emphasis and thrust of this certification program and if it is “a fit” for your professional development goals. Host: Lisa M. Airey, WSG Education Director. Instructions on how to access this live webinar will be emailed to all registered 48 hours prior to the webinar.